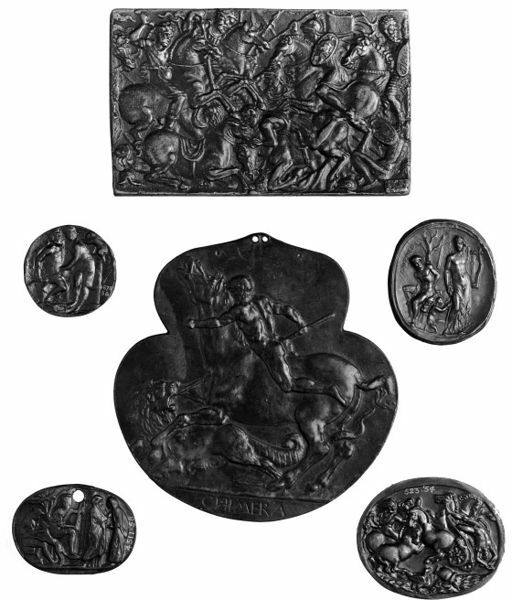 Plaquettes are small plaques made of bronze, brass, lead or precious metals. 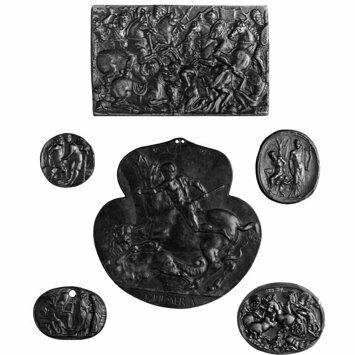 They originated in the 1440s with the desire to reproduce coins and hardstone engravings from ancient Greece and Rome. 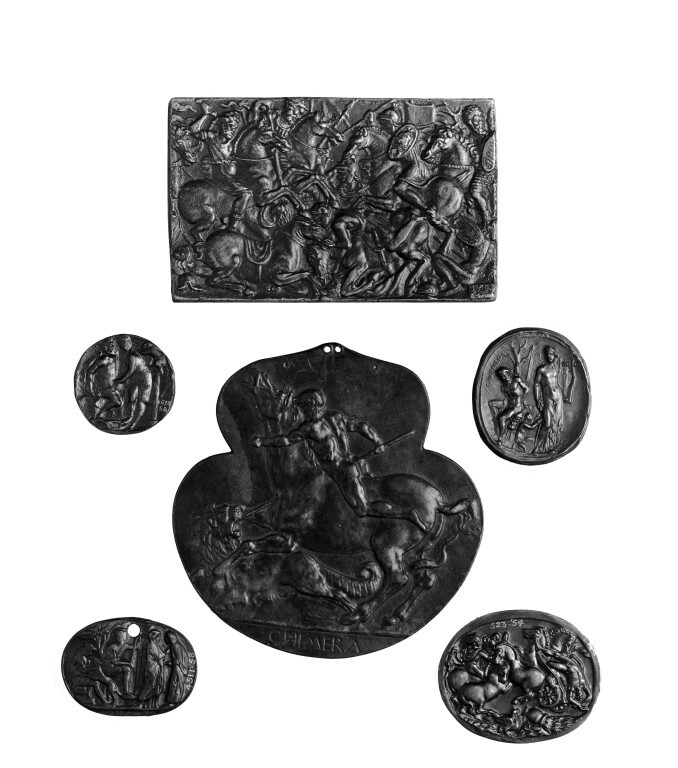 Some were made as collector’s pieces, to be viewed and displayed in private, and others for practical purposes. They also inspired designs in other media, from architecture to bookbindings. This was cast from an antique cornelian intaglio in the Medici collection. The satyr Marsyas was a skilled flute-player who was forced into a musical contest with Apollo. Apollo won the contest and ordered Marsyas to be tied to a pine tree and flayed alive. Plaquette depicts on the right Apollo standing with lyre and plectrum. At his feet the young Olympus kneeling for mercy. On the left Marsyas seated on a skin. Inscription. 'Salting Bequest (A. 70 to A. 1029-1910) / Murray Bequest (A. 1030 to A. 1096-1910)'. In: List of Works of Art Acquired by the Victoria and Albert Museum (Department of Architecture and Sculpture). London: Printed under the Authority of his Majesty's Stationery Office, by Eyre and Spottiswoode, Limited, East Harding Street, EC, p.